Select Calendar in the left sidebar, then change the alert style to None or Banners. Select Reminders in the left sidebar, then change the alert style to None or Banners. 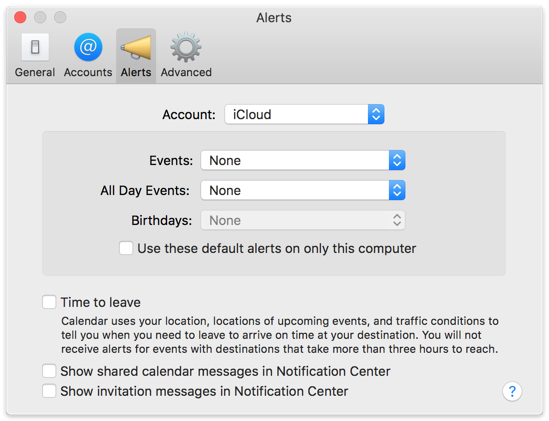 OS X Calendar has a preference setting for setting default alarms for new events. Unfortunately, if you have that preference enabled, the Calendar app will add default alarms to all of the events you create in BusyCal. 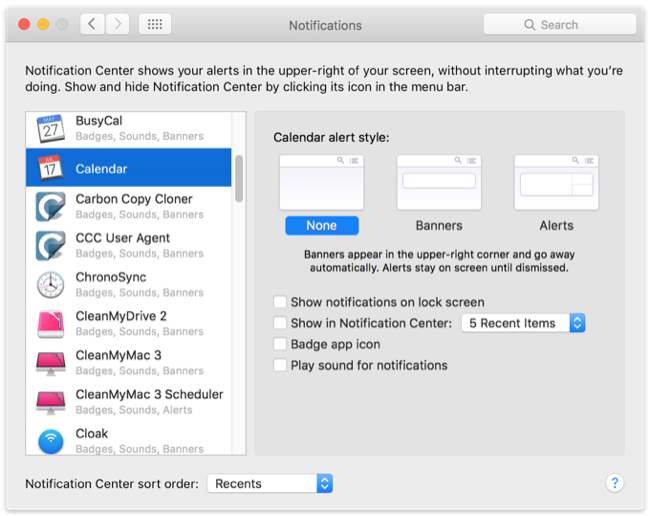 Therefore, you should disable the default alarms setting in Calendar > Preferences > Alerts, to avoid erroneous alarms from being attached to events you create in BusyCal, as shown. There are similar settings on the iPhone you may have to disable as well in Settings > Mail, Contacts, Calendars > scroll down to the Calendars section and tap Default Alert Times.